Keeping at it is all there is. 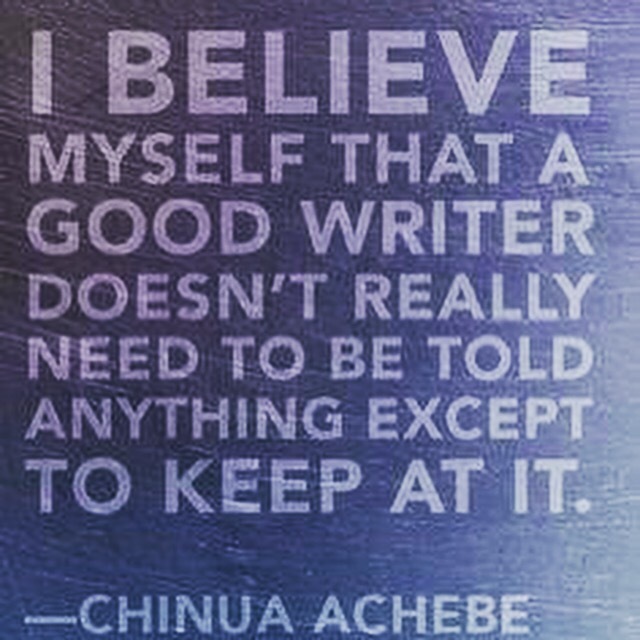 I believe as a writer, regardless of book sales, money, time and other worldly things, we must write. For if we don’t, we become rigid and cold by the mere containment of passion. Passion has to be free. Passion is something that burns and is constantly in motion. It stirs within us and rises until we open a valve and allow the steam of ideas, love, creativity and dreams out into the world. The artist is helpless to contain it for if they try, they die inside. This is SO true! I have felt like I’m just frozen lately and I know it’s because I’m not writing!!! You need to open that valve Kat!